Dr. Dre hosted the first episode of “The Pharmacy with Dr. Dre” yesterday (July 4). The two-hour radio show is part of Beats1 on Apple Music. The Compton, California rapper and producer explained why he decided to do a radio show. One of the segments in the program was dedicated to J Dilla. 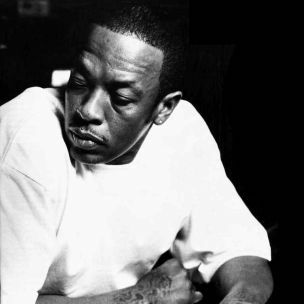 Dr. Dre named the late Detroit producer as one of his main inspirations. J Dilla died of Lupus in 2006, days after releasing his solo project Donuts. Dr. Dre started his career as a deejay and then producer. DJ Pooh, who appears on “The Pharmacy,” gave some insight into Dr. Dre’s early music creations, including working on fellow N.W.A member Eazy-E‘s debut album. Dr. Dre also says that it took him a long time to get on board with the upcoming N.W.A movie Straight Outta Compton. Eazy-E died due to complications from AIDS in 1995. “The Pharmacy with Dr. Dre” also featured material from several West Coast artists, including Tupac, Kendrick Lamar and Vince Staples. They also played song from Future and A$AP Rocky and throwback cuts from Nas, A Tribe Called Quest and others.